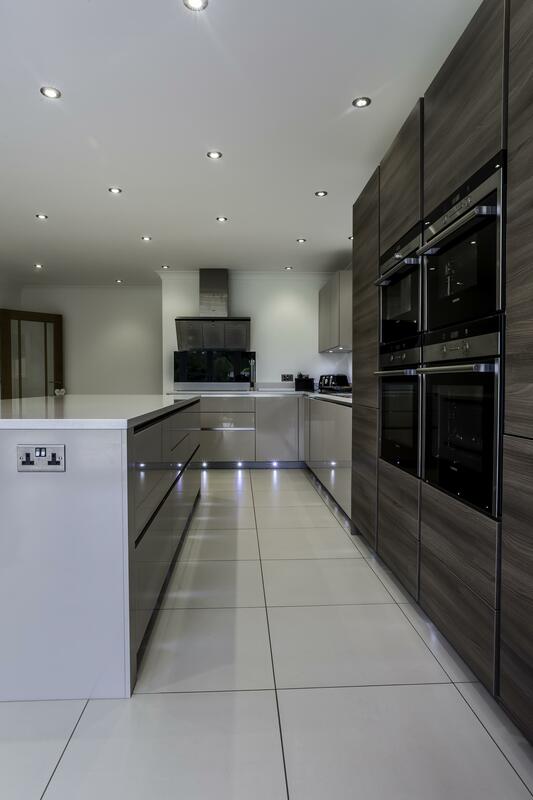 A winning combination of gloss lacquer Cashmere and wood effect Acacia Grey. 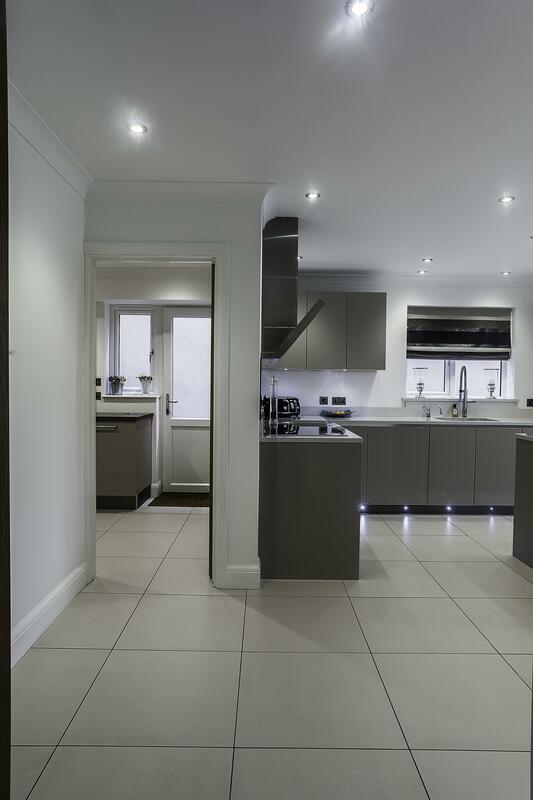 This subtle yet eye-catching mix gives a warmer feel to a modern kitchen. 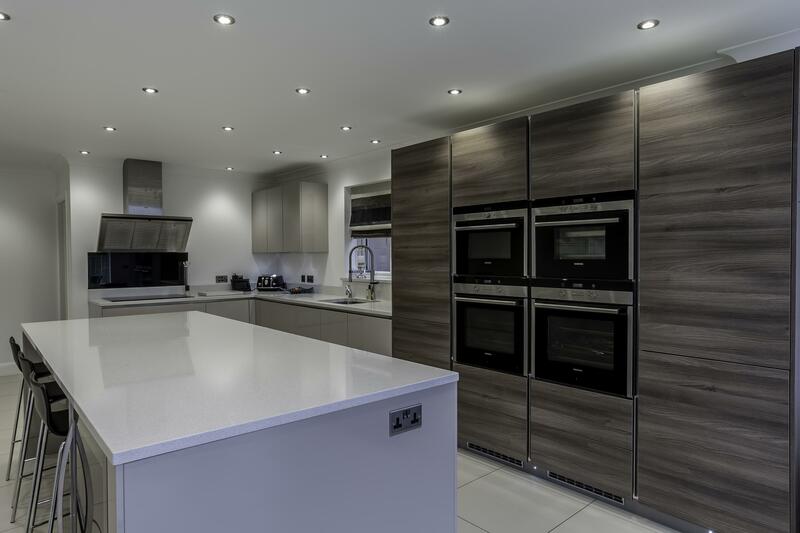 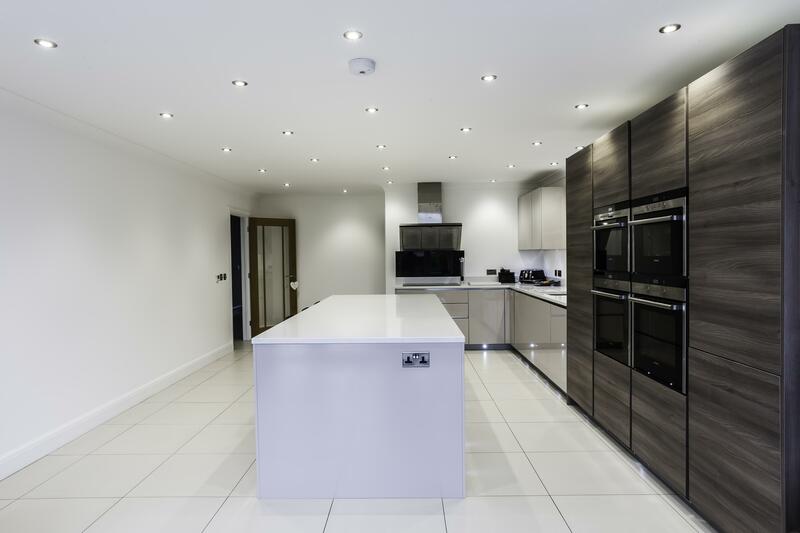 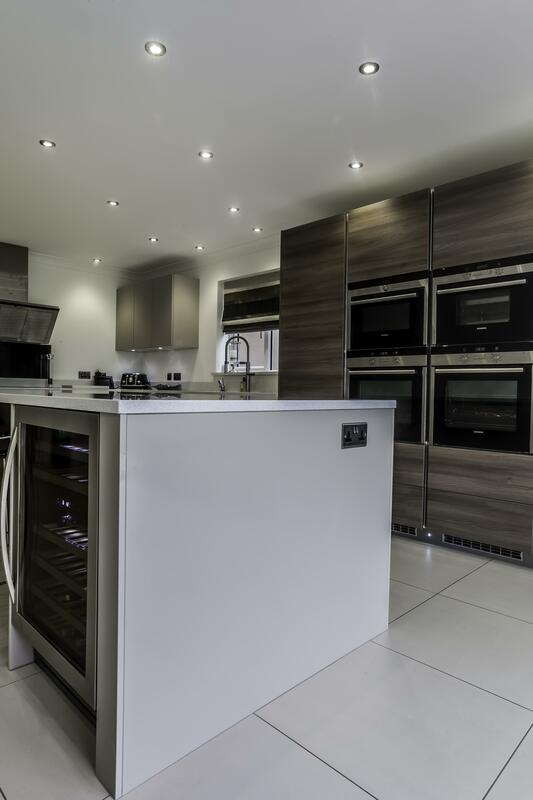 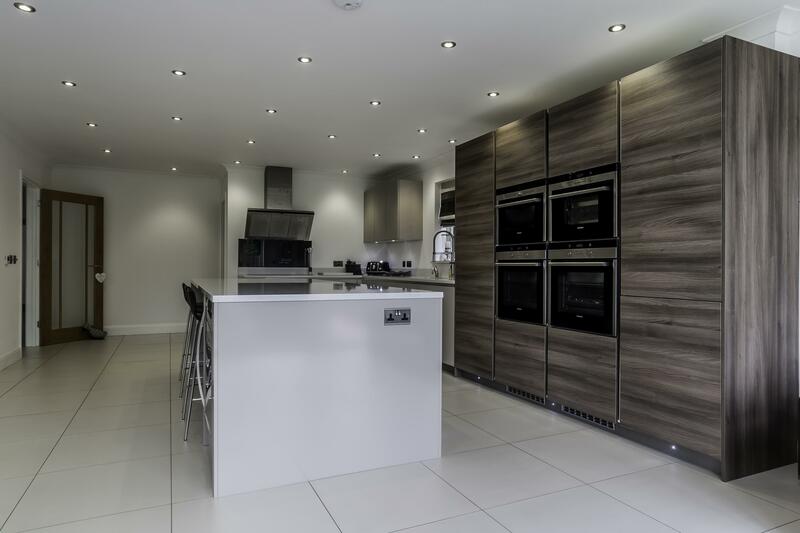 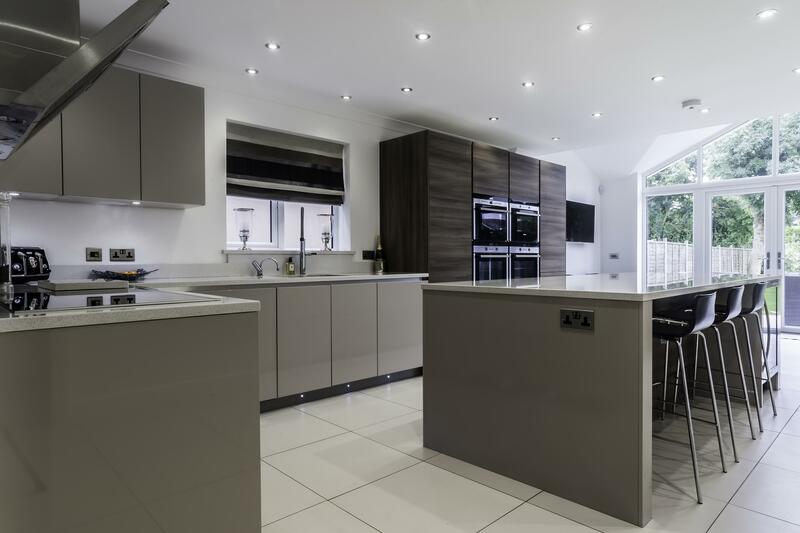 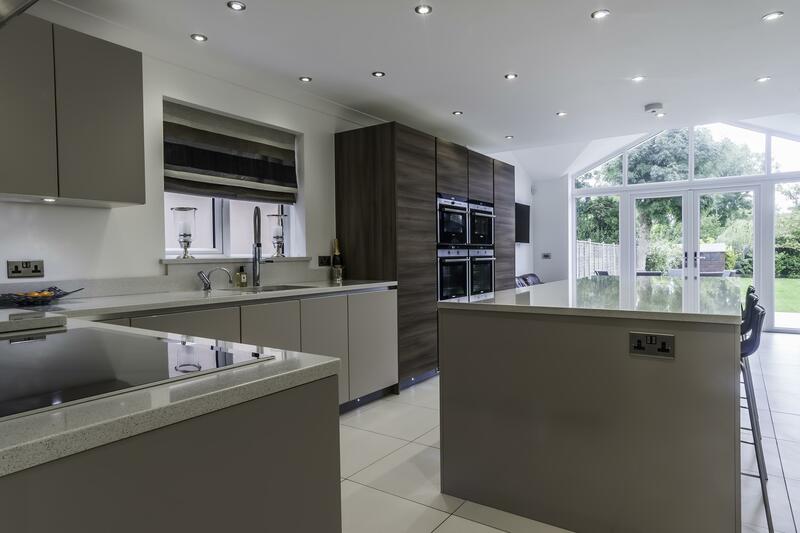 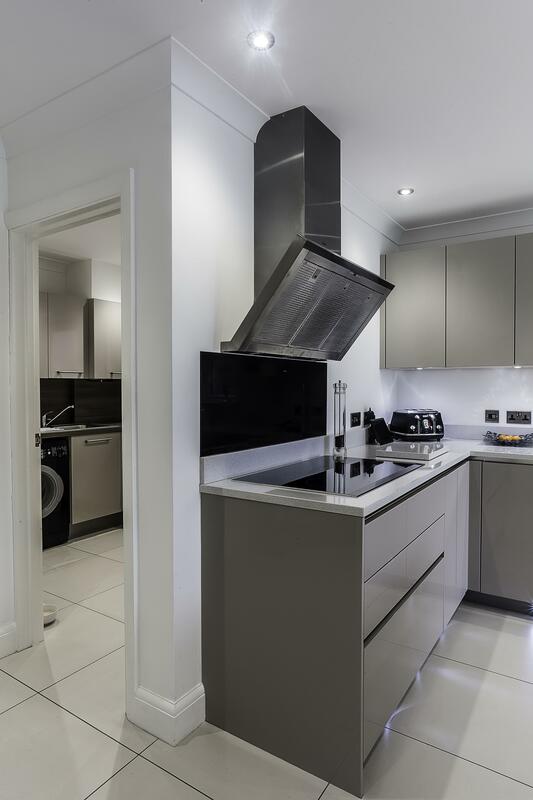 Being the hub of the home for cooking, eating and dining, the client opted for four Siemens ovens, including microwave and steam combination, perfect for every day meal times and entertaining. 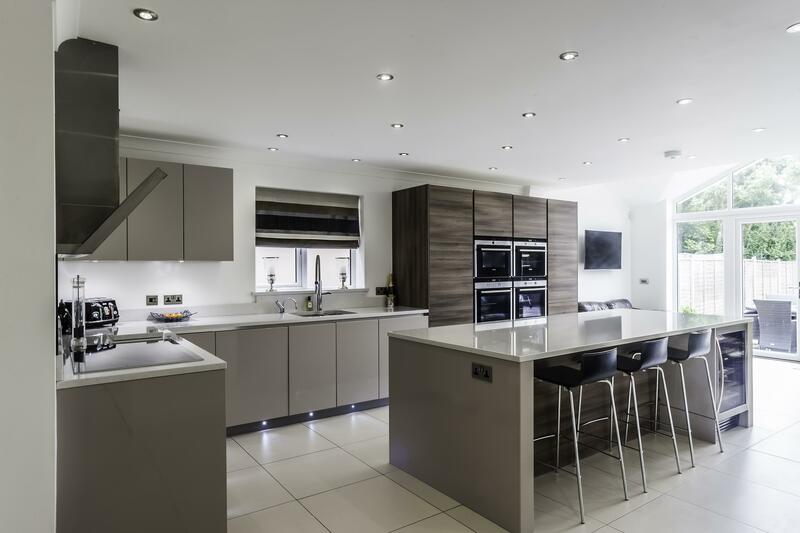 The centre piece of the room is the island, which our client wanted to keep free of a sink or hob to allow for maximum preparation and entertainment space. 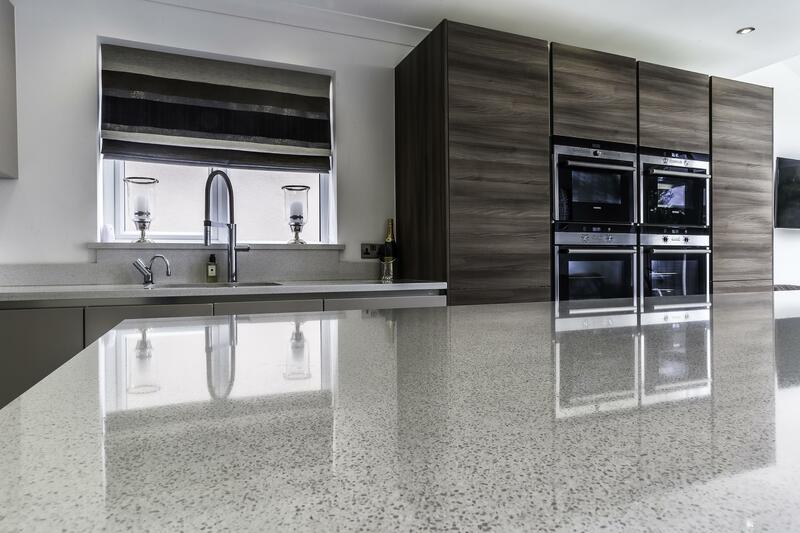 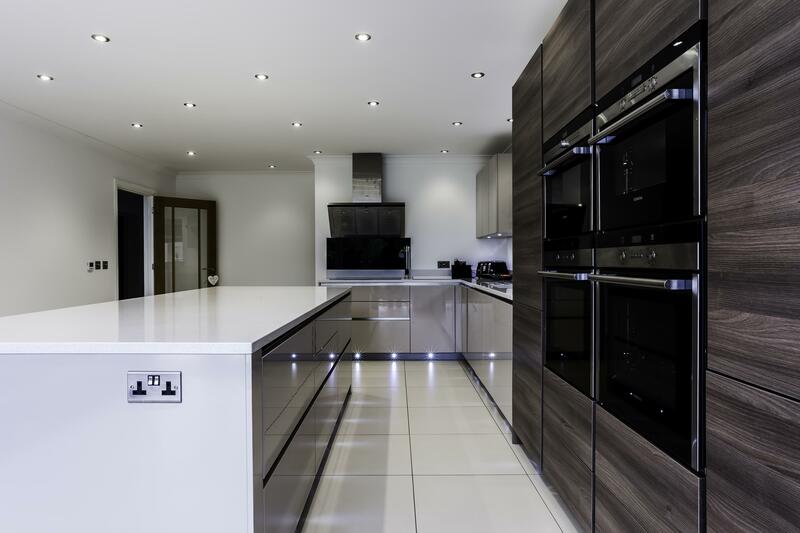 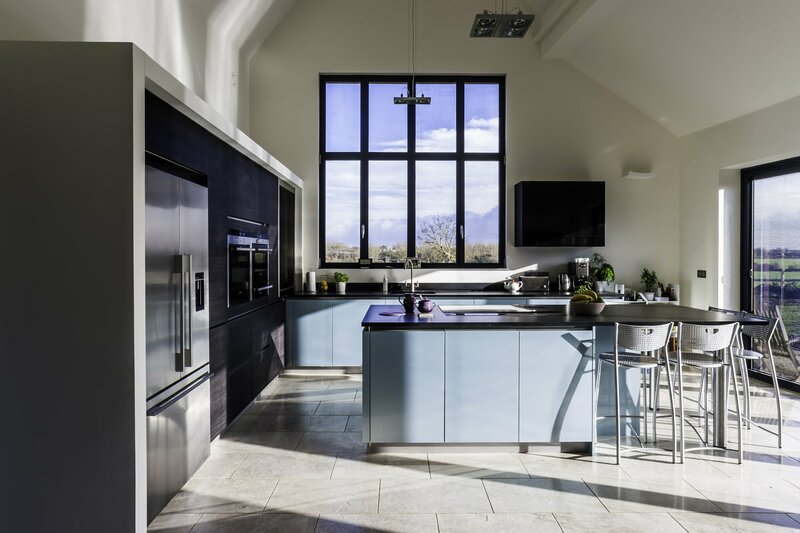 The use of a gloss lacquered door, white quartz worktop and porcelain floor allows the light to bounce around the room and provide a welcoming, bright environment.